The argument of “stock versus flow” has been debated from many angles and across many asset classes. The most heated may be in the gold and silver bullion categories. I’ve written on this topic before and I’m sure I will again but for this exercise I want to talk about U.S. stocks. 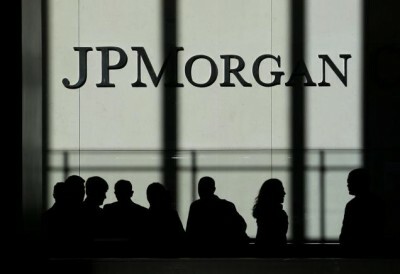 Zero Hedge put out a piece yesterday reporting that JP Morgan E-Mini Liquidity Has Crashed 40% In The Past Quarter, JPMorgan Finds. Zero Hedge says liquidity has dropped 40% in the S+P E mini contract. The study looks at “depth” of both bids and offers, this is now drying up, in fact, the ramp upwards was performed on continually lower volume. Not exactly a confidence builder as volumes dried up out of, well, lack of confidence. Without spending a whole lot of time on this, suffice it to say “liquidity is the blood of life” as far as the markets are concerned. Without it or when liquidity decreases, accidents tend to happen. “Accidents” in this case are when the markets move violently which affects a good part of the $1.4 quadrillion in derivatives. Big moves in either direction can affect the standing of these derivatives as for every winner there is a loser. The problem arises when a loser is so crippled, they cannot perform (pay) on their losses. The above is a very basic synopsis of the “what”, the important thing right now is the “why”. Why is volatility increasing? Why has volume and liquidity decreased so much? There are two basic reasons, first the global economy is slowing at a time when debt is a bigger percentage of financing than ever. Debt service must be paid whether good times or bad. It just happens that right now we are seeing a global slowdown which leaves less free cash flow available whether it be a sovereign, corporation or individual …money is tight so to speak. Secondly, the Fed has reduced their “free money spigot” called QE by $75 billion per month down to only $10 billion per month. This is slated to drop to zero next month. I guess the best way to explain this is the financial system got “used to” an extra $85 billion per month sloshing around. By no longer providing this, the Fed, even though not actually tightening credit conditions …are tightening credit availability. What we now see happening is the economy must stand on its own without any help from the Fed, it’s not working very well and this is what the markets are telling us. Shifting gears just a little bit, we recently saw as a reaction to the lessening QE, a stronger dollar. Scared capital sought safe haven and did so into the dollar out of “habit” because that’s the way it’s always been. Fear capital has always (during our lifetimes) fled into the dollar because the U.S. had a history of a strong rule of law and stable politics. Do we still have a strong rule of law? Are we politically stable as we once were? I personally don’t think so but this topic is for another day. What I think we will soon see is this “fear capital” will soon leapfrog the dollar altogether and arrive as a bid into gold and silver. Gold and silver have no “politics” and the rule of law is “whoever possesses it holds value”. Simple right? Yes, but think this through all the way. We are headed through the gates of hell if (when) the Fed must announce another round of QE. QE is pure monetization, deep down everyone knows (and have known all along) that QE will not work and is nothing more than printing money out of thin air. It hasn’t worked, it won’t work and it can never work. All it did was buy “cover” or time in the hopes of something coming along to magically fix the mathematically unfixable problem. The “problem” as I have said all along is one of solvency rather than liquidity. This I believe will be understood whenever the next QE is announced. The “solvency” I am talking about here is that of the Fed and the U.S. which is why the “safety” of the dollar will be shunned on the next go round. I wrote years ago that “all roads will lead to gold and silver”. This is as true today as when I first wrote it back in 2008 …with the exception the “road” is now much much shorter!. The road is shorter because every “tool” in Ben Bernanke’s (now Yellen’s)toolbox has already been taken out and used …to no avail. People “wanted” to believe they would work because of the alternative if they did not. The Chinese were content to sit back and let us play the paper games while they filled their vaults with our gold, how much do you suppose is left? You will know the answer when one day our markets do not open for “business as usual”. No tools, no White Knights, no flight into dollars …no more “benefit of the doubt”. We have lived in a “benefit of the doubt” world for quite some time, once this runs out, capital will arrive to that last asset standing of no doubt …real money.